The next day after Brexit, we met in England’s ancient capital for an inspiring conference about encouraging women into leadership roles. Your church of renown To meet all our friends. Thank you all for being a part of it, this couldn’t have been possible without you. Special thanks and congratulations to our host: Sue Ouvry and the organizing team from The Winchester LA, for contributing to the success of the conference and their generous support. Because “a picture is worth a thousand words”, I invite you to watch this short movie I made, some moments to remember, a pictures gallery also, enjoy! As usual, the last day we had Annual General Meeting, we were delighted with the presence of Germany and the Netherlands, although they resigned from GWI. A new Treasurer was elected. The key point of our meeting was the discussion about how to adapt the constitution and spontaneously an interactive dialogue was initiated on how can UWE stays a regional group of GWI and still keeps its seat in the INGO conference representing European women graduated?. We kept calm… and voted an emergency clause, please see here the Minutes AGM 2016 . 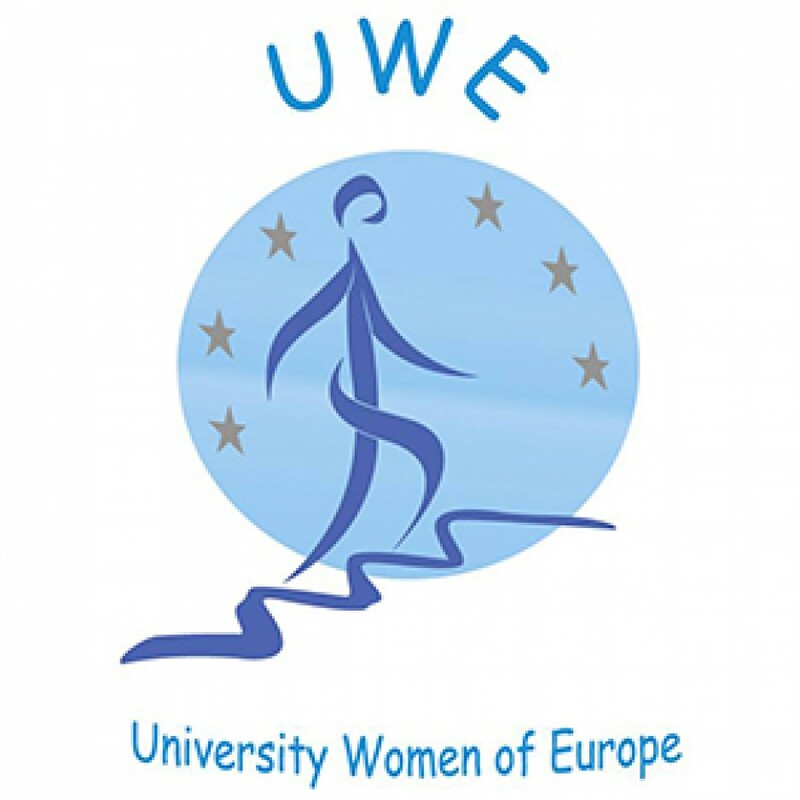 Click on the links to see the reports, invitation to next UWE Conference in Graz, Austria and other documents presented. In the end, feel free to fill this evaluation form and express your feelings, we really need your feedback to help us improve organizing the next conference. Thank you! This entry was posted in UWE Conference 2016 and tagged AGM 2016, minutes AGM 2016, Roxana Elena Petrescu, UWE Conference 2016. Note: To be able to vote at the AGM either the known CER (as known on the website) or a delegate with a proxy from the NFA must present themselves as such at the registration desk. Only NFA’s that have paid their dues on the 15th of June will be allowed to vote. Sharing reports NFA’s: please use the online form online form and the ppt draft report as we will have a “inspiration Market”. Meaning we will use lunch also as a moment to get more info on the main subjects and themes of NGAs. There will be a slide show during the whole conference during breaks and of course on our website and Facebook. Presentation candidate Treasurer, Annelie Pierrot member of SFUW (Spain) she is also a member of GWNI the new Dutch association which is applying for membership of GWI and UWE. 2. Minutes the minutes of the AGM 2016 were not made last year. This was due to a vital illness of the reporter. The board has made a short version of the decisions made. c. Financial statement 2015. Election of members financial committee; we call for members of the financial committee. 5. Adaptation of the UWE Constitution and Bye Laws. Last year it was decided that because of the name change of the IFUW into GWI the UWE Constitution needed to be adapted. A committee was installed to adapt the UWE constitution and bye-laws. The committee was led by CER of Finland and lawyer Marita Salo and consisted of three other lawyers: Annelies Pierrot, Anne Negre and Georgeta Stoican. Besides the name change of IFUW to GWI the UWE board proposes to adapt the deadlines for proposals and plans as it is now possible to communicate digitally. Also the possibility of electronic vote is part of the new constitution and lastly to accept associated members. 6. Proposal Next AGM 2017 and Meet and Greet 2017. We have a proposal from VAO inviting us to Graz by the end of August 2017. Fildis Syracuse invites us for a Meet and Greet in May 2017. This entry was posted in UWE Conference 2016. This entry was posted in UWE Conference 2016 and tagged UWE AGM 2016, UWE Conference 2016. 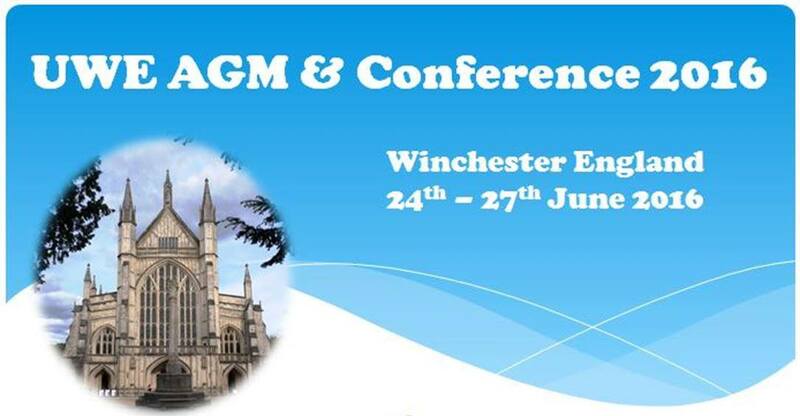 The University Women of Europe and the British Federation of Women Graduates are pleased to welcome over 75 women to the historic city of Winchester for the next Annual General Meeting and two days Conference. It means the conference facilities are almost fully booked. If you’d still like to participate be quick as places are limited. Please know that payments are expected ultimately 31 of May! Our Conference theme will be “Aspiration, Advancement, Achievement” in order to encourage women into Leadership Roles. Let’s find out what is the path to female leadership, why do we need raising aspiration through wider choices, experiences and more.We know women encounter challenges at work to utilize their strengths and obtain promotions to leadership roles, definitely scaled up actions are required to ensure economic empowerment of women, but let’s consider what our organization can do to improve and enhance the visibility of role models. 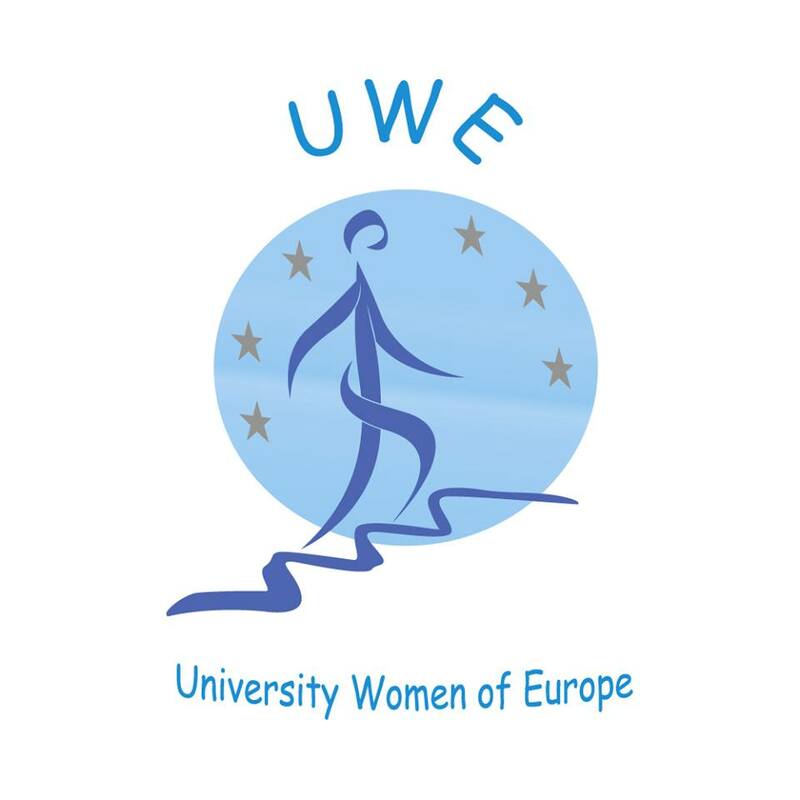 As always, there will be time to exchange opinions and networking, the conference is open to all members of the University Women of Europe and their friends. Rooms at the hotel are all full so if you’d still to come you’ll have to go to one of the other hotels. Gala Dinner on Saturday evening* (optional): £42. Non-members are welcome: they pay 30 Euro’s more and are an independant member for a year. Giving a reduction on the fee for the Meet and Greet the next year (usually in May) . The Conference fee includes hire of venue, tea/coffee on Friday arrival, tea/coffee and lunch on Sat and Sun, speakers’ administration costs and UWE travel fund. Gala Dinner will be held in medieval Priors Hall in the Inner Close of the cathedral. It is on the first floor of the Deanery but a stair lift is available. The cost of £42 per head includes a welcoming glass of Hampshire sparkling wine or elderflower, a 3-course meal based on local produce. Our guest speaker is Professor Joy Carter, Vice – Chancellor of Winchester University. It is fully booked. There is currently a waiting list. We have a simple online registration form that enables you to register in minutes. Click here to register now. PLEASE NOTE: All payment must be made by 31st May 2016 as the organisation needs to pay several reservations for the locations in advance. There will be no refunds for non-attendance. Please ensure that you have travel insurance to cover cancellation. Bank to Bank Transfer Please use your name as a reference for your booking. This entry was posted in UWE Conference 2016 and tagged ACHIEVEMENT, ADVANCEMENT, ASPIRATION, Encouraging Women into Leadership Roles, UWE Conference 2016.